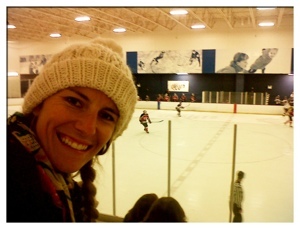 Friday night, alone in Suburban Dallas - I'm at a conference here for the week and there didn't really seem to be anything interesting to do.... until I stumbled on the local ice rink where a local hockey game was about to get started. I love live sport and ice hockey is about as exciting as it gets. 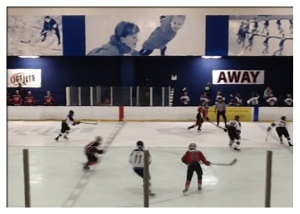 Ok so this wasn't the NHL but I took up a space on the bleachers for the jets vs brahmas. I stuck out like a sore thumb but it was a great game! Nothing like getting in on a bit of the local action!